Once you have created a copy of a project database and made changes in the copy, you can synchronise this project with the project database from which it was copied. This is useful if you have split a project to a child database and then decide to merge the child back to the parent database. 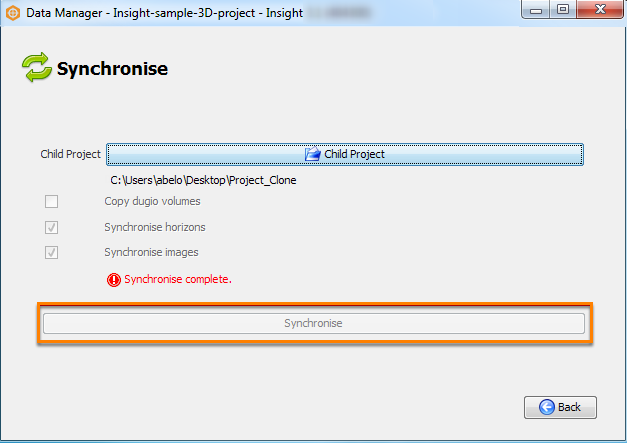 In the Data Manager window, click Synchronise. Note: The project you open in the Insight Launcher will be the project that you want to synchronise with another project. Select a project directory that you want to synchronise with from the list of project directories. Alternatively, click More to browse to another project directory. 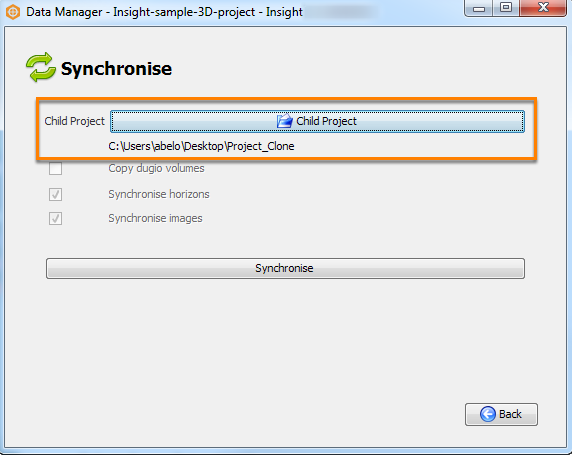 When you are ready, click Synchronise to synchronise your project with the child project. A notice will appear in red to confirm that the synchronisation is complete. 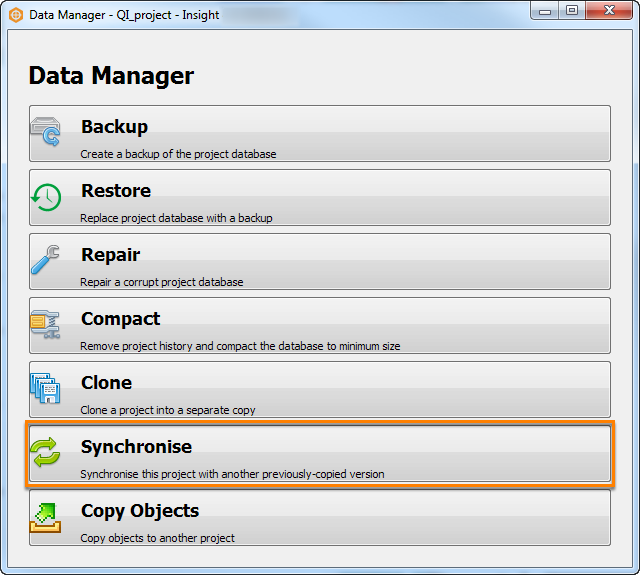 Note: Data Manager can only synchronise between project copies that were made with the Clone operation.